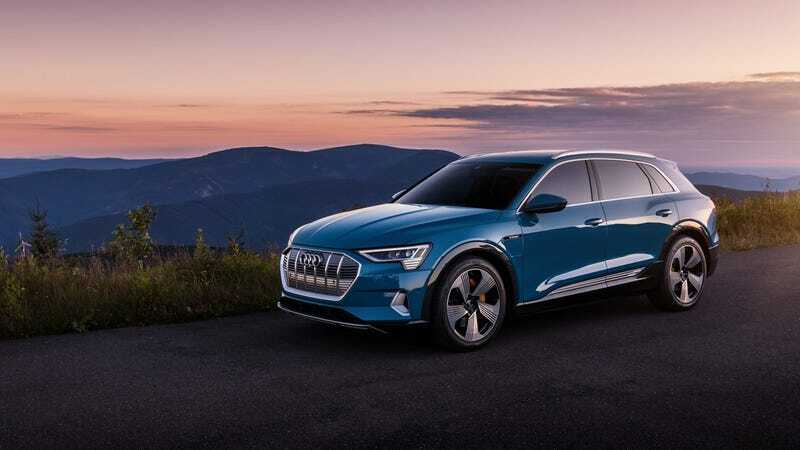 Audi unveils pricing for the E-Tron’s charging infrastructure in Europe: Electrek reports that Audi has released pricing for its chargers for the E-Tron in Europe. And they aren’t satisfied with the pricing. According to the article: Audi’s system involves several options for different tiers that gives owners access to more than 72,000 charging points in 16 EU markets with a single contract and charging card. One of them is “City tariff” which costs €4.95 per month on top of a €7.95 fee per level 2 charging session and €9.95 fee per DC fast-charging session (up to 50 kW). The second option is “Transit tariff”, which gives you access to Ionity’s new 150 kW charging stations for long-distance travel. It costs €17.95 per month and the pricing per session is the same for level 2 and DC fast-charging up to 50 kW, but when using the up to 150 kW stations from Ionity, you will pay €8.00 per charging session and €0.33 per kWh. That roughly equates to $5.16 per month plus $9.12 per level 2 charging session plus $11.41 for the fast charging. The Transt Tarriff is $20.59 per month with $9.17 for the Ionity charging sessions with $0.38 per kWh. That really isn’t that cheap. Carscoops did some digging after hearing that the Toyobaru twins were just going to die after their life cycle ends, they spoke to reps at both Toyota and Subaru and found out otherwise. A rep named Ron Kinno from Subaru USA confirmed that both companies are moving forward on the next gen of the sports coupes. That’s very good news. At least according to Autoblog. Apparently its coming in ‘21 with 340 horses and they are shooting for a 0-60 time of under 6 seconds. A rep from N is saying that this is because “Hyundai’s not interested in making also-ran cars with N badges on them in whatever class they compete.” Well damn. This should be interesting. Carbuzz reports, though Allpar, that FCA is supposedly working on a turbo I6 to replace the Hemi, that’s over 10 years old now. They are saying that it could make its debut in the next gen Grand Cherokee and the Wagoneer.